The ResMed Mirage FX is the perfect balance of comfort, performance and simplicity. Advanced, lightweight, and with just four parts, it allows for easy fitting and care. The slender, lightweight frame provides an open field of vision without sacrificing mask stability. 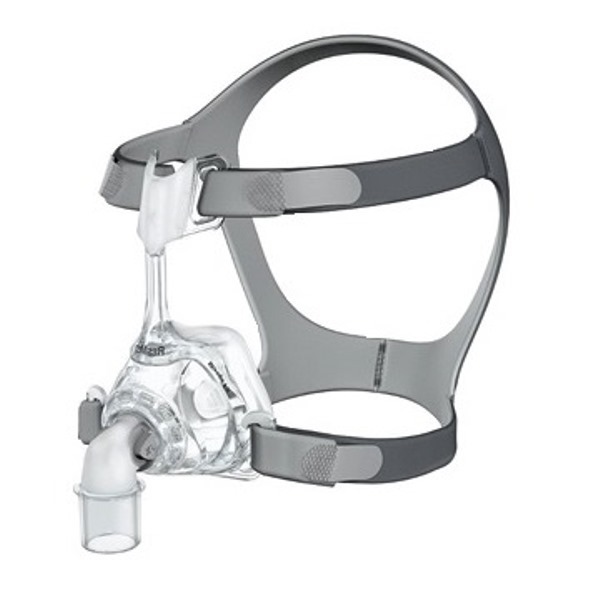 Designed with fewer facial contact points and more balanced allocation of pressure, it is an improvement in CPAP mask comfort. SpringAir – Dual-wall cushion provides balanced pressure distribution through all sides for minimising pressure points. The cushion also provides extra softness at the bridge of the nose to avoid soreness.